Fishville’s Notes: This news strikes us with a surprise in which Harvard is considering to reinstate its early admission program. Harvard was trying to clinch a moral ground by eliminating its non-binding early action program in 2006. Numerous researches demonstrated that early programs, particularly the early decision, benefit the students from the affluent families significantly. For the rest of students, you don’t want to be locked in because you would want to have a shopping process for a better financial aid package in the regular admission. Actually the most criticism should go to Princeton since it had an early decision at a time when Princeton admitted almost 50% of the freshman class through early program to protect its yield. 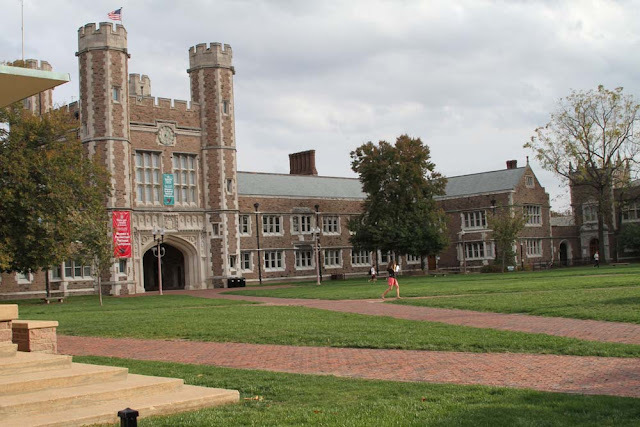 Under the pressure in 2006, Princeton was probably the only elite college that followed Harvard’s call to eliminate its early program completely. Yale President Richard Levin’s argument is that we are already in the early action which gives students a choice to go elsewhere in the regular process, so it is unnecessary to abolish its single choice early action program to reduce student’s stress. We would speculate that Harvard’s internal records could point to the fact that abolishing the early program has a negative impact on their efforts to recruit star applicants. Past three years in a roll, Harvard lost Yale in a cross-admit contest in which admitted applicants choose Yale over Harvard in a sizable margin on the surveys by collegeconfidential’s website. The game changing point is resetting, let us see whether Princeton will go back to early decision or early action. Friday, February 11, 2011, Yale Daily News. Harvard may bring back an early admissions program. Yesterday, the Harvard Crimson reported that Harvard Dean of Admissions and Financial Aid William Fitzsimmons said Harvard is reconsidering its decision to abolish its early action program. “By the time spring comes around, we’ll have made a decision,” Fitzsimmons told the Crimson earlier this week. Fitzsimmons told the Crimson that Harvard had always intended to reevaluate the choice not to offer early admission after five years. Harvard, Princeton, and the University of Virginia discontinued their early admissions programs in 2006. Yale, however, has continued to offer single-choice early action for applicants, a program it began in 2004. Harvard College’s admissions office will announce whether it will bring back an early admissions program within the next several months, Dean of Admissions and Financial Aid William R. Fitzsimmons ’67 said in an interview earlier this week. “By the time spring comes around, we’ll have to have made a decision,” Fitzsimmons said. Harvard decided to eliminate its non-binding early action program in 2006. At the time, College officials stated that the early admissions program—regarded by many as an advantage in the admissions process—disproportionately benefited affluent students, who were more likely to have access to resources that could help them prepare their applications for an early deadline. In addition, the College claimed that the binding nature of many early admissions programs at other universities discouraged less wealthy students from applying, because they would not be able to compare the financial aid packages offered to them before choosing a college in which to matriculate. Despite the College’s strong stance against the program five years ago, this week Fitzsimmons described the elimination of early action as “an experiment” that his office underwent when it decided to get rid of the program. According to Fitzsimmons, his office always intended to reevaluate the merits of the decision after five years. “The world changes, so you have to see where you are at the end of that time,” Fitzsimmons said. The University of Virginia and Princeton University both announced their intentions to eliminate their early admissions programs shortly after Harvard did in 2006. While Princeton has not indicated that it is considering bringing back such an offering, Virginia unveiled a new early action program last fall that will be in effect for applicants to its class of 2016. Under the option, students will be free to apply early to as many schools as they choose. Roberts, along with Princeton representatives, declined to comment for this story. Fitzsimmons would not specify which type of early program—the binding early decision option or the non-binding early action—Harvard would employ, should it bring back an early admissions option. Amy Sack, president of college counseling firm Admissions Accomplished, said that Harvard’s lack of an early admissions program has not discouraged her students from applying to the College. According to Sack, students who want to attend Harvard usually apply early to comparable schools such as Stanford University or Yale University, both of which offer non-binding early action admissions programs. In 2006, the last year early admission was offered, Harvard received 4,008 early action applications. The early acceptance rate was 21.5 percent compared to below nine percent overall.